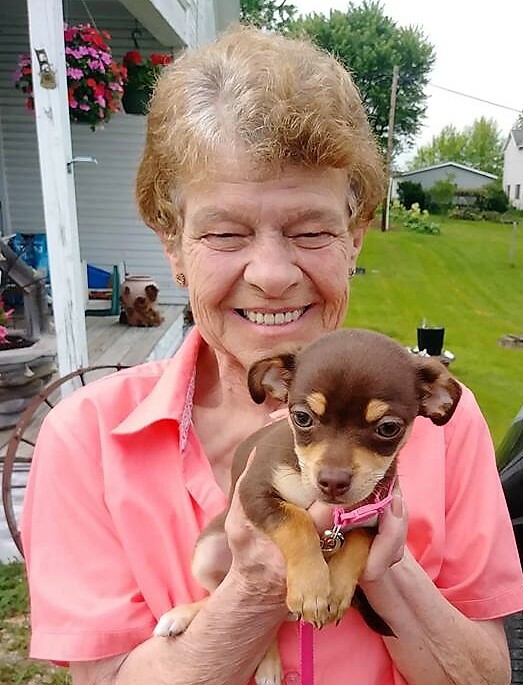 Jeanneane Eshelman, 71, of Pleasant City departed from this world on January 12, 2019 at SEORMC following a brief illness. She was born May 16, 1947 in Glendale, WV and was the daughter of the late Morgan Helms and Almeda Landers Bilinsky. Jeanneane was a 1965 graduate of Zane Trace High School and worked several years at Hills Department store in Cambridge. She currently was a homemaker who “loved” to cook, do crafts, garden and take care of her beautiful flowers. Her favorite activity was spending time with her family especially her weekly get-together with her sisters. In addition to her parents she was preceded in death by one daughter Linda Simmons; brothers, Morgan Helms Jr. and Sidney Helms. She leaves behind to cherish her memory son, Gary E. (Leisa) Brown of Byesville; brother David Helms of Ashville, NC; sisters, Carol Ridgway, Sheila Guenther, And Sherry (Ralph) Campbell, all of Senecaville; her beloved pet Angel; granddaughter Aarica (Adam Eisenman) Dubeck; great granddaughter Alton J. Eisenman and many nieces and nephews.